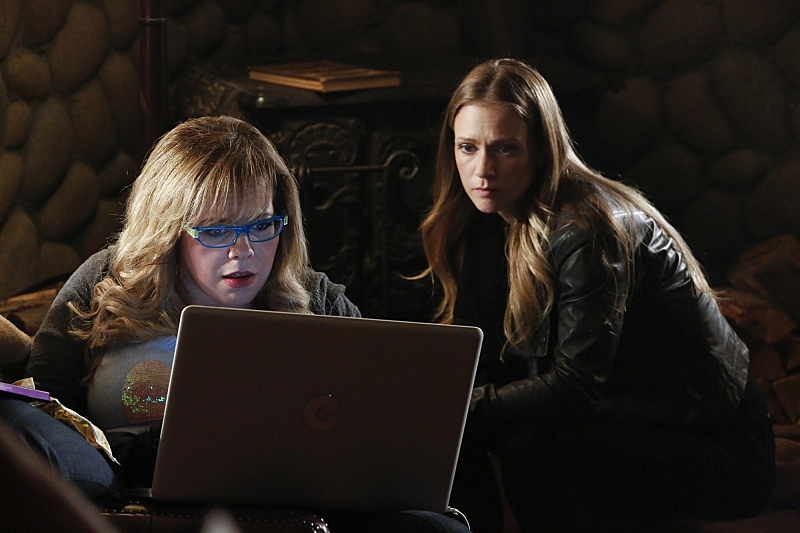 The BAU revisits its origins when they look at one of Rossi and Gideon's old cases to track a killer that got away, on CRIMINAL MINDS, Wednesday, Jan. 28 (9:00-10:00 PM, ET/PT) on the CBS Television Network. Series star Kirsten Vangsness co-wrote the episode with Erica Messer, one of the series' executive producers. Pictured: Kirsten Vangsness, A.J. Cook. Photo: Robert Voets/ABC Studios ©American Broadcasting Companies, Inc. All rights reserved.